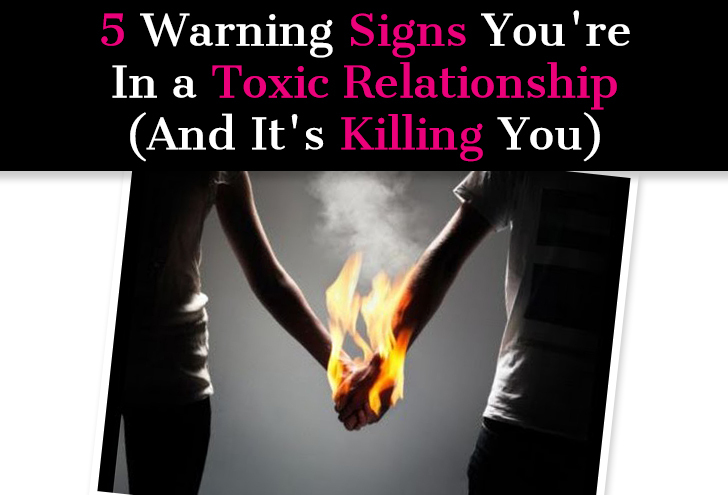 Something I, and unfortunately many other women, know a lot about is toxic relationships. A toxic substance is something that causes damage to you, drains you, and depletes you. A toxic relationship can irrevocably damage your sense of self. There are toxic relationships and then there are toxic relationships, and I found myself in the latter when I was a junior in college and head over heels in love with a guy who was all sorts of wrong. Like most relationships, this one got off to a relatively problem-free start. The chemistry was electric, the attraction was strong, conversation flowed effortlessly, and we couldn’t get enough of each other. I felt a pull toward him unlike anything I had ever felt before. I saw some signs of trouble early on, but convinced myself that it would all work out because it simply had to. But it didn’t. As time went on things only got worse, and throughout the course of our year-long relationship I turned into a dark shadow of my former self. I was no longer fun, outgoing, optimistic, confident, and full of light. Instead I felt constantly on edge, painfully insecure, drained, and sad. I lived under a dark cloud of fear … fear that it would end, that he would leave. I may have been miserable with him, but I believed that without him I would be beyond repair, so I stayed. I stayed far longer than I should have. I stayed even though he gave me every reason not to. In the end, he was the one who left, and as expected I felt gutted. 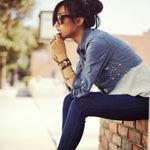 It was only when the relationship inevitably imploded that I was able to see just how toxic the situation had been and how badly it had damaged my sense of self. Part of the reason I didn’t see it sooner is that I didn’t know what to look for. I let my strong feelings for him blind me to everything else. My friends tried to warn me that this was a bad situation, and so I stopped talking to them. My gut told me this was bad, and so I stopped letting my gut talk to me. I did what many do. I chose not to see things as they were and instead focused on how I wanted things to be. I minimized all that was bad and clung tightly to whatever scrapes of good I could find, and that was all I needed to keep going. Maybe you think you’re experiencing the typical ups and downs that relationships bring, or maybe you blame some external source and think that as soon as it gets resolved, everything will be fine. Being able to see a situation for what it is and accept that it isn’t going to change can be empowering. It gives you the ability to look at things through an objective lens and make a decision that is in your best interest. To help you get there, I have identified the biggest signs that you’re in an emotionally toxic relationship. You feel like nothing you ever do is quite right and are constantly trying to prove your worth. You become addicted to his validation. Whenever you do something and it generates any sort of approval from him you feel relieved, and it gives you just enough rope to hang onto. You try even harder to get more of that feeling, and feel like a failure when it doesn’t come. No matter how hard you try, you never feel like you’re enough or like you’re doing things right. You live in a constant state of unease, of second-guessing yourself, of trying to be better and good enough. One sign that you’re in a healthy, loving relationship is the feeling that you can just be. A big sign that you are in an unhealthy, toxic relationship is the opposite, the feeling that you can’t be yourself. Instead, you have to walk on eggshells and monitor everything you say and do. You feel like you need to think twice before you speak and that certain topics are off limits, that you have to act a certain way. You are afraid to bring things up to him because you don’t know how he’ll react, and saying nothing is better than saying something and having him get angry. So you suffer in silence and hope that somehow things will change, that somehow this relationship will magically transform into a healthy, happy one. This is one of the biggest signs of a toxic relationship, and it seems like it would be pretty black and white, but often you don’t even realize all the ways he’s putting you down because it can be done in sneaky ways that aren’t flat-out criticisms. And if you’re in far enough, you already aren’t feeling like yourself and aren’t feeling good enough about yourself, so you may even agree with the negative things he says to you and about you. Relationships are a chance for enormous personal growth. Sometimes our less-than-stellar qualities are brought to the surface and they need to be dealt with. However, there is a huge difference between a partner who can point out your flaws in a loving way, a way that encourages you to grow, and a partner who does it from a place of contempt. In a healthy relationship, he will accept you for who you are. He will love the good and accept the bad because we’re all human and we’re all flawed, and bad qualities just come with the territory. Anyone expecting perfection in a partner is paving the way for a lifetime of disappointment. In a healthy relationship, you will want to improve because you genuinely want to be your best self—for your sake, for his sake, and for the sake of the relationship. You will feel loved and accepted for who you are, and both you and he will understand that change takes time, so you won’t feel bad about succumbing to some of your negative qualities from time to time. In a toxic relationship, you won’t feel accepted, your partner will have little tolerance for your negative qualities, and he may shame you and belittle you for them. I remember in my toxic relationship the guy told me that the reason he chose me to be in a relationship with was because he knew he could never “breed with” (yes, that’s a direct quote) someone like me because I wasn’t really wife and mother material (mind you, I was a 20-year-old college kid), so it made him feel safe knowing that this relationship wouldn’t be forever. Your jaw may have dropped reading that, and maybe you’re thinking “well of course she left him after that,” but I didn’t! I remember feeling shame, feeling embarrassed by the fact that I liked to go out and drink and party (again, I was 20! ), and I made it my mission to prove to him what a nurturer I could be. In a toxic relationship, put-downs run rampant. Some are overt and others are masked, and you may not even recognize the internal damage they are causing. Couples fight, even the happiest ones, it just comes with the relationship territory. Fights can occur over all sorts of things, both big and small. Happy couples aren’t ones who never fight, they are ones who use fights and disagreements as a means to resolve the issue. If something can’t be resolved, they learn how to communicate better and reach a place of deeper understanding. Toxic couples usually fight to win. They use fights as an opportunity to tear the other person down, to hit below the belt, to get out all the anger and resentment they feel. Dirty fights are a sign that the resentment level in the relationship has hit its limit. These fights are full of hostility and contempt, and each person is overcome by the desire to “win” and prove their case rather than work together to lovingly resolve the issue. 5. He won’t work on it. He doesn’t take responsibility and instead blames you and makes it all your fault. (Things like, “Well I wouldn’t get so angry if you weren’t always on my case!”) In a toxic relationship, you feel like the problem. He doesn’t value your feelings or your needs. If you’re upset, it’s because you’re too “sensitive” or “emotional” or “irrational.” He may say sorry, but he doesn’t really own up to anything and thinks if you have a problem with the relationship then it’s just that, your problem. He doesn’t want to talk about it or work on it or try to change. The most important quality to look for in a partner is someone who is willing to work on it. Even toxic relationships can be repaired if both people are committed to working on it. However, if he refuses to change or try to understand your feelings and your needs, then there is nothing that can be done and your only choice is to leave. 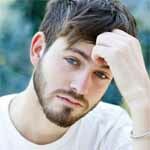 It’s hard because a guy with toxic qualities also has a lot of really good qualities, and we think if we try hard enough we can draw those positive qualities out even further and inspire him to change and be a better man. It rarely works that way; the only way people change is if they recognize there is a problem and they want to fix it. And no matter how many positive qualities he has, the only one that matters is a desire to make the relationship work. If he doesn’t have that, then everything else is useless. If any of this rang true for you or sounded like your relationship, it might be time to really consider if staying in this relationship is in your best interest. Toxic relationships can be enormously damaging; either you’ll see it now or somewhere down the line. The longer you stay, the worse the damage will be and the longer it can take to undo. Remember, the sooner you free yourself, the closer you will be to finding the right relationship for you. In every relationship I’ve ever been in (romantic or otherwise) I’ve always learned the same thing – look to their parents and their upbringing. If the parents are not alive, look how they’re talked about. People who are able to fully be involved in a relationship – and work on making it better -can speak with honesty and deep feeling about what was good about their upbringing and what wasn’t. And at length. If they don’t talk about family – that’s a problem. If they’re still looking up to a parent as a child would or are overly obedient – problem. If they say it doesn’t matter – big problem. If they say there was abuse, but they’ve “gotten over it,” but they can’t talk at length about HOW they did that – bigger problem. If the parents are alive, insist on meeting them, and soon. Anything you see that could be construed as abusive or uncaring on the parents’ part will get played out on you. If the parents are hostile or don’t appear to care who their children are involved with -problem. Get to know their siblings. If the siblings are describing things your new friend or lover is not, get to the bottom of that. I don’t usually describe things as “total truth,” but as far as I can tell (and I’m 64 and am trained as a therapist) this is just about as total a truth as I know of. I believe that the topic of relations between people is the most urgent topic for conversation. Sounds like a narcissistic, used to be in exactly the same relationship…All the signs were there, spot on! Since my husband of 46 years died four years ago, I have realized that I was in a toxic relationship. I never fully realized what a bad effect it had on me. I am now in a long term exclusive relationship with a widower who is the “love of my life” and values me for who I am. I am blessed. I tell my boyfriend because of my marriage, I fully appreciate what I now have with him. So heed the warning signs of the problem men and just know there are good men out there. I wish I came across this website sooner. I have been questioning my relationship for ten months after the first month I started dating guy. But I kept telling myself that it should work out if we both tried. After I read your article, i have a clear answer for myself. Excellent article. Wow. Even though I’m a guy and not a girl, I felt compelled to read in the search for answers to make sense of my current toxic relationship. It’s so sad that after finding “the love of my life” 3 and 1/2 years ago… the person I never thought I would ever find in this whole universe, my beautiful angel who made me feel so alive and happy… it has come to the end. It might sound corny, sure, but she used to make me a better person… now, it’s the opposite. Nothing I do or say seems to please her. We went from being inseparable to being filled with venom. I never imagined that would happen but it did. Thank you for realizing I am doing the right thing by breaking up. This applies to friendships as well. I was in a relationship that was everything on this list for 5 years. I was even engaged to him! Finally, I realized I was unhappy and would be for the rest of my life if I didn’t get out. It wasnt that I didn’t love him or that he was a bad person…we just brought out the worst in each other. Having the courage to leave was the greatest decision I ever made. I found happiness on my own and a few short months later found a man that I work well with and have an extremely healthy relationship with. I say this as encouragement to those who think they may be in a toxic relationship but are afraid to leave. It’s worth it! It will be better for both of you if you make a tough decision! Your failure to post my previous comment proves my case, at least for my girlfriend and i, it was exactly as I told her it would be so thank u for making urself transparent, thus, proving my case. Shane, it’s unclear what you’re talking about. Though, a statement like “thank you for making yourself transparent, thus, proving my case” .. that’s very passive aggressive, and toxic. Thank you so much! I’ve been beating myself up about my last relationship, trying to figure out what was wrong, where it went wrong. After reading this article, everyone of your points hit me. I did not realize it was a toxic relationship. I’ve been going to a psychologist trying to figure it out. You cleared it all up for me. Everything made sense. Thank you again so much. Sorry to hear that. This is a perfect description of a toxic relationship, except for one point: toxic relationships CAN NOT be fixed. This is a very important point as it’s the very reason why many girls and women stay and so it has to be make real clear.